Below are various photos taken in Whitehall, NY. This page may take a bit longer to download depending on your connection speed. However, the text on the page should download quickly and each picture placeholder will show descriptive text until the picture downloads. Each photo may be clicked to view a larger version in a separate browser window, enabling users with slower connections to continue exploring this site while the larger photos download separately. Unless otherwise noted, all photos are copyright 2005 by Bloated Toe Enterprises. They may be downloaded for personal use, but may not be used for any commercial purpose. 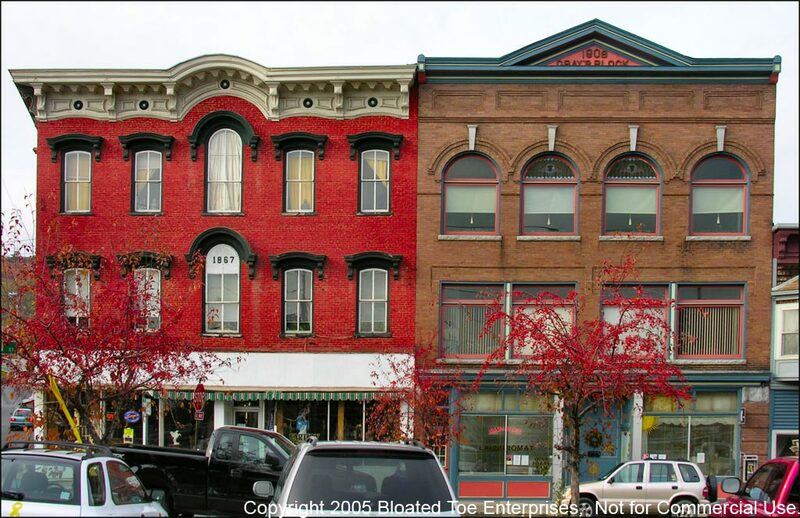 The Renois (left) and Gray (right) buildings on Main Street in Whitehall, NY. The Renois building was built in 1867 and the Gray building in 1908. These are part of the national historic district on Whitehall's Main Street. 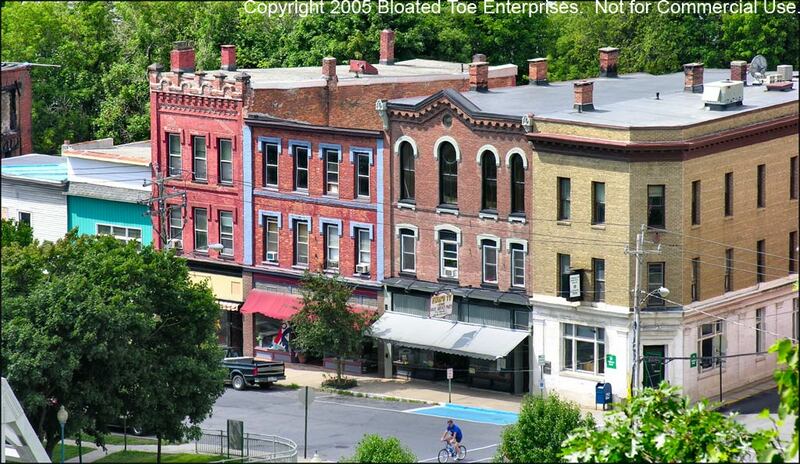 This is the view of the south end of Main Street in downtown Whitehall, NY, from Skene Mountain. These buildings date back to the 1800s and have housed many businesses over the years. Whitehall's downtown business district is a National Historic Site. 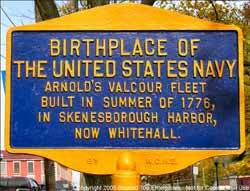 Historical sign in Riverside Park, Whitehall, NY. 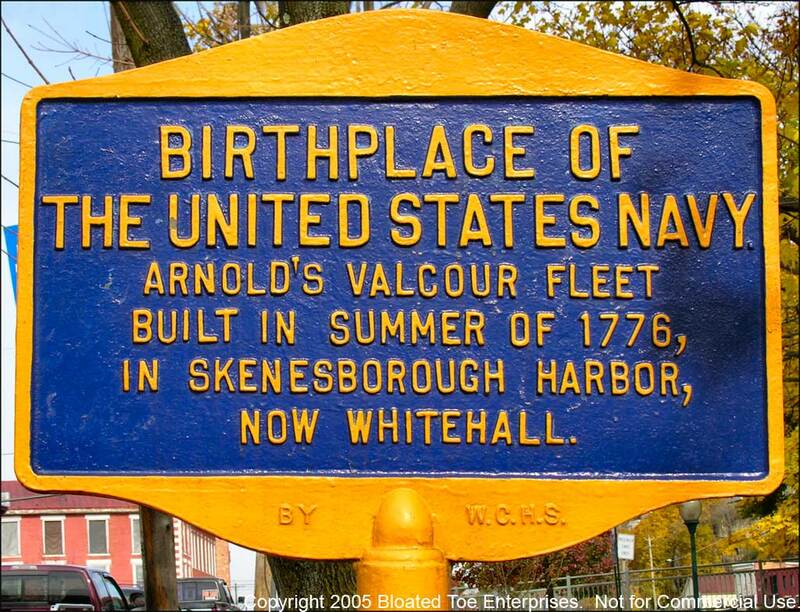 Sign reads "Birthplace of the United States Navy, Arnold's Valcour fleet built in summer of 1776, in Skenesborough Harbor, now Whitehall." 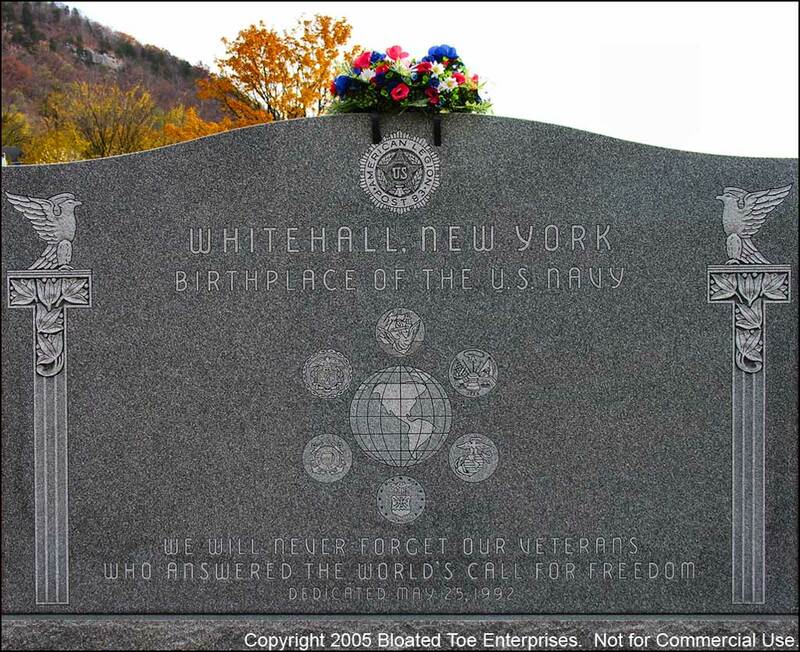 American Legion Post 83 War Memorial in Riverside Park, Whitehall, NY. 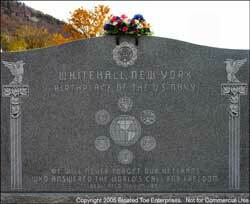 This memorial was dedicated in May, 1992 and honors Whitehall residents who died in service to their country.